Leo Tolstoy (or Tolstoi) is considered one of the greatest novelists of all times, mainly because of his two masterpieces, War and peace and Anna Karenina. He was born in 1828 at the Yasnaya Polyana mansion in Central Russia, in an aristocratic family. He inherited the estate in 1847 and spent most of his life there. The mansion is now a museum dedicated to Tolstoy. Tolstoy spent most of the 1860s and 1870s on his two long epic novels – War and peace was published (in installments) between 1863 and 1869, Anna Karenina between 1873 and 1877. After 1880, Tolstoy’s stance on moral issues led to a spiritual crisis, and his later works bear the marks of it. He was excommunicated by the Russian Orthodox Church in 1901. He died in 1902 at a railway station, from pneumonia, after having fled his home. War and peace tells the story of three aristocratic Russian families (Rostov, Bezukhov, and Bolkonski) during the French-Russian wars between 1805 and 1813. The story opens at a soirée where several of the main protagonists are introduced to us, and where Napoleon and the approaching war are the talk of the day. 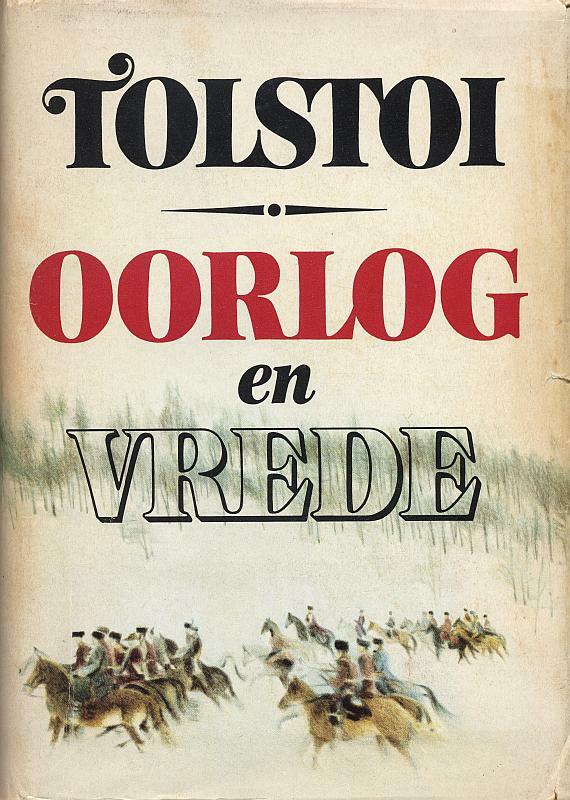 Tolstoi then goes on to describe the European battles where the Russian army is involved (in particular, the heavy defeat of the combined Russian-Austrian army at Austerlitz), the peace treaty of Tilsit (where Russia became an ally of France), and Napoleon’s invasion of Russia. In the mean time, life in Moscow and St. Petersburg continued as if nothing happened, at least for the aristocracy. The battle of Borodino is a turning point: On a single day of combat, an estimated 45,000 Russians were killed (plus at least 28,000 French, the highest number of casualties on a single day in modern history), forcing the Russian army to give up Moscow. 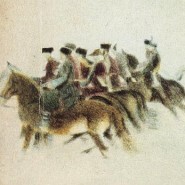 Tolstoy’s impressive (albeit biased) description of the battle has become famous. The battle of Borodino, and the evacuation, capturing and burning of Moscow had a profound influence on Russian (and European) history, and on the lifes of the protagonists of War and Peace. War and peace is Tolstoy’s masterpiece, and one of the greatest works of literature. It is not an easy read. Though most people are deterred by the number of pages, it is actually the number of characters that makes War and peace hard to read. Tolstoy introduces 580 characters (according to Wikipedia – I didn’t count them 🙂 ), both historic and fictional, and recounts the historic story of the Russian wars against Napoleon, intermingled with fictional events and essays on war, free will, history. These essays can be annoying, and distract from the story, but Tolstoy probably considered them the most important part of the book. He tried to prove a point with War and peace, and did not consider War and peace to be a novel. His point seems to be that every situation follows necessarily from the previous, and people, even those in power, have very little, if any, influence on the way events unfold. He challenges the view of historians of the time, who think that history is mostly made by great men (like Napoleon, in this case). I don’t think I’ll read War and peace again any time soon. The novel is certainly worth a re-read, but the first reading took over six weeks. Still, I hope to read it again someday, and maybe report on it again. War and peace was read in Dutch, as part of the chunkster challenge. Thanks so much for the review of War and Peace. I recently promised to reread the book, so your review is timely for me. I will reread W&P after I finish Gibbon’s Decline and Fall of the Roman Empire, which is even longer than W&P ;-( I note that you plan to write abour Blake’s Thel. I suggest that instead you read his Marriage of Heaven and Hell. Most of the rest of his work is unreadable, if you ask me. BTW do you know that you can download almost all classic books in English and several other languages for FREE from gutenberg.org They are a blessing. PS My father’s sister married a Fresco from Holland. Do you have any info on the Fresco family? Thanks for your comment, ny dude. The problem with War and peace isn’t really the number of pages – Tolkien’s Lord of the ring has more pages, and I could finish that a lot faster. I somehow couldn’t advance very fast – the sheer number of people in the book is probably the main reason – so reading it took a long time. Still, it was certainly worth it. I enjoyed what I read of William Blake so far, and I think I will enjoy Thel as well. Maybe I’ll read (and post about) Marriage of Heaven and Hell later this year – thanks anyway for the suggestion. I don’t know anything about the Fresco family. A quick search suggests that it’s a Jewish family coming from The Hague. If you’re serious about finding out more, I suggest you consult my Trace your Dutch roots website. Hey, just wanted to say I think you have a fantastic blog, I’ll visit again ^^. You’ve a wonderfull blog here! Just loved. Great reeviews, great choices, too sweet. your blog is amazing, but I wonder how do you get the time to read so much??? Thank you for gracing my page. I would very much like to add you to my blogroll if you would not mind. Other than that- thank you again! You know, I’ve never read War and Peace and I’ve always wanted to. Thank you for bringing it back to my attention. Great blog by the way. Thought the title was a real turn off but when I started reading it, it was completely interesting. And it’s true – the dry humor, the sharp insights, the obsession with legacy, and relationship. I like the insight you provided on War and Peace. It definitely is the number of characters rather than the pages that makes it difficult to get through. I’ve both those books of his (war and peace and anna karenina) on my bookshelf at home. Growing up, I always preferred Alexandre Dumas’ books (Count of Monte Cristo is one of my classic favorites).